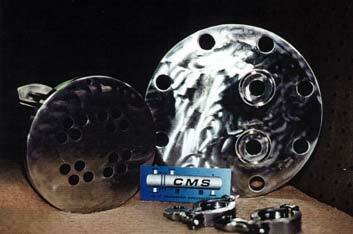 For your sanitary process needs, CMS offers our 3-A Sanitary line of tubular heat exchangers, conforming to or exceeding all 3-A and industry standards. Featuring quick disconnect Tri-Clover connections, durable 316 stainless steel construction and double tubesheet design to ensure contamination free service. View of tubesheets and quick release connections.